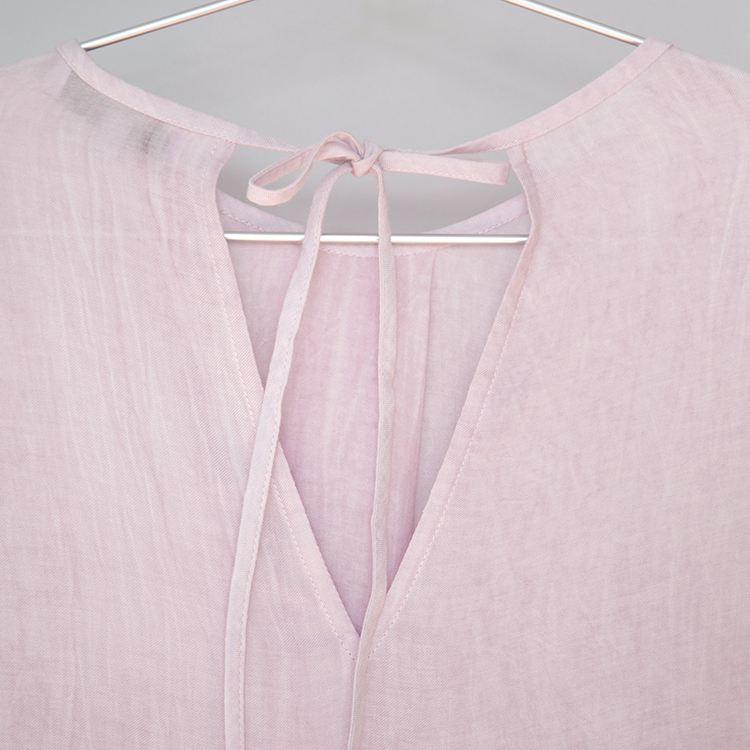 Draped simple top cut in ultimate soft handle pale pink rayon fabrication. 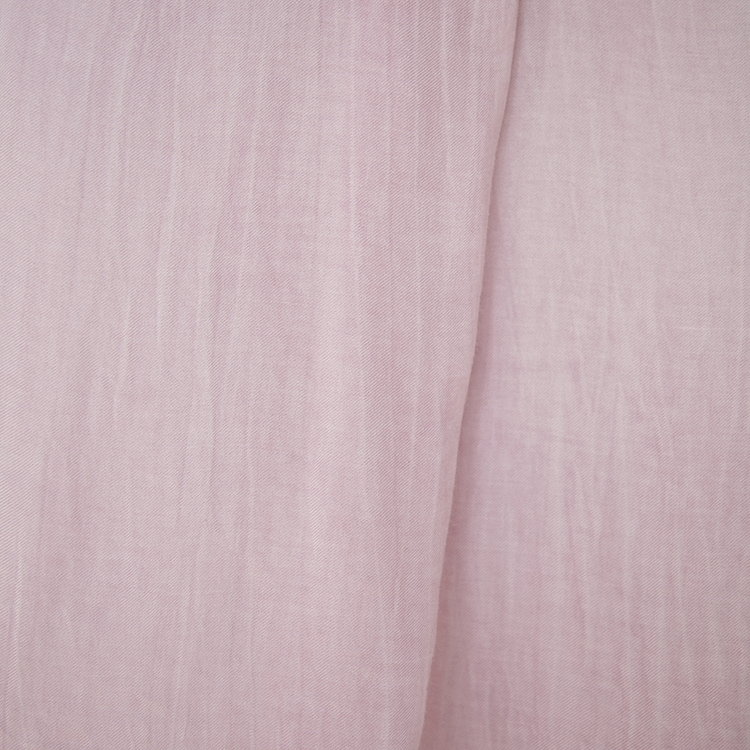 A single pleat at front and finished with a long tie back at neck. 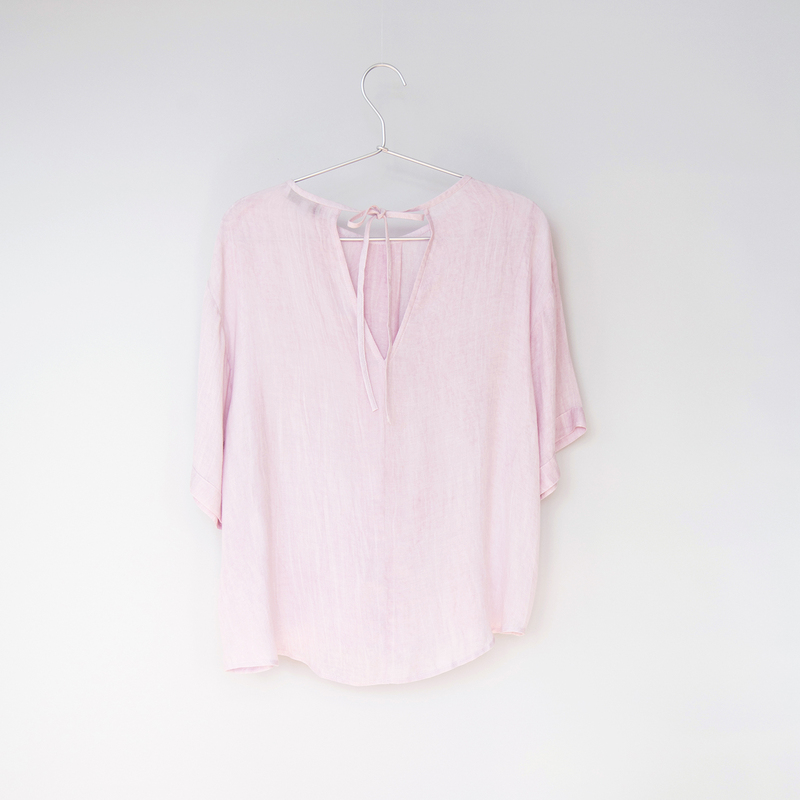 Wear it with everything from skirts to jeans. 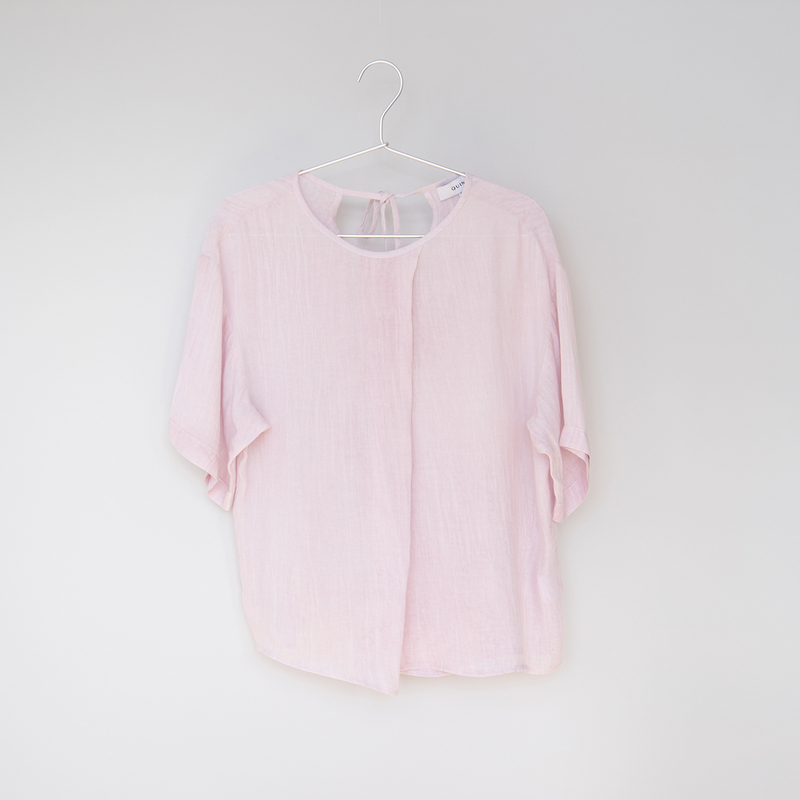 Loose fitting. Over the head style. Model is 175cm and is wearing size XS.